Considered the largest theme park in the Netherlands (and one of the oldest in the world), Efteling Park is a fantasy themed wonderland featuring rides and attractions based on myths, fables and fairy tales. 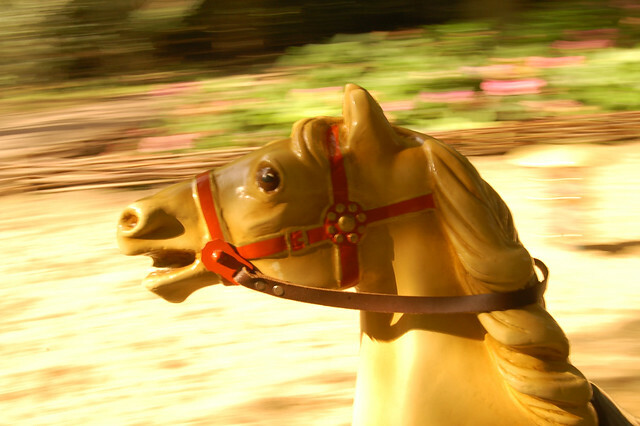 High speed highlights include the thrilling Pegasus and Aquanova rides, while the Alternative Realm is a must for those looking for a good scare. Everland Resort draws over 6 million visitors each year and consists of an ideal mix of action and relaxation – perfect for the whole family! Here, you can ride the world’s steepest roller coaster, the T-Express, body surf in Caribbean Bay, test your driving skills on the Speedway Circuit or relax and enjoy the serenity of the Hee Won Gardens. Europa is Europe’s second most popular theme park (after Disneyland Paris) and this spectacular destination is very much Euro-centric, with imitations of iconic European buildings and sculptures everywhere you look - http://www.europapark.de . You can visit “countries” in the park, like Italy, Russia or Spain and there are 11 terrifying rollercoasters here to get your adrenaline pumping, including the bone chilling Silver Star. Lego lovers will be in heaven at this fantastic Lego themed park, which is located right next to the original Lego factory in Billund. The stand out highlight is Lego Miniland, where 25 million Lego bricks have been used to create replicas of some of the world’s most famous landmarks, such as the Statue of Liberty and Amalienborg Castle. Other highlights include the 4D Imagination Zone, Pirate Land and the epic Lego Polar X-plorer freefall ride. Australia hit the big leagues in 2014 when Queensland’s Dreamworld was named by Adioso as one of the top parks to visit this year. Dreamworld has something for everyone and highlights include Whitewater World, Skypoint, the Australian Wildlife Experience and Kung Fu Panda’s Land of Awesomeness. 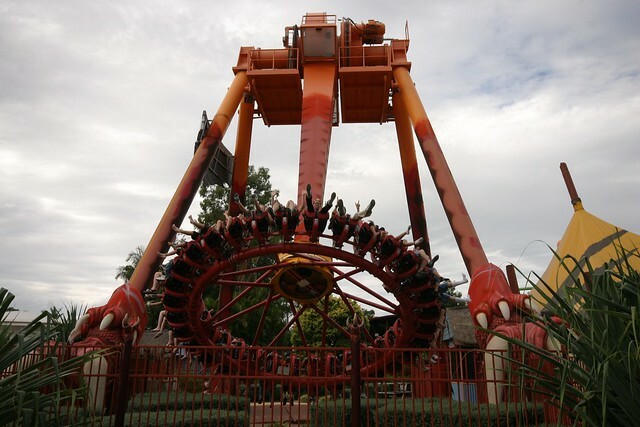 The park is also home to 40 thrilling rides, including the blood curdling Tower of Terror and the insane Pandemonium. The world’s largest theme park, Disney World in Orlando, Florida, consists of 6 distinct areas, each bringing to life their own unique and magical theme park atmosphere alongside heart-thumping rides and attractions. The wizarding world of Harry Potter’s Diagon Alley and the Breakaway Falls ride at Aquatica are two of the newest attractions to open in 2014. Considered the world’s biggest indoor amusement park, this impressive destination is a car lover’s paradise, especially for fans of Ferrari. Must-dos include the Junior GT driving school for kids, the Racing Legends history exhibit and the epic G-Force ride where participants are launched over 200 feet into the air! 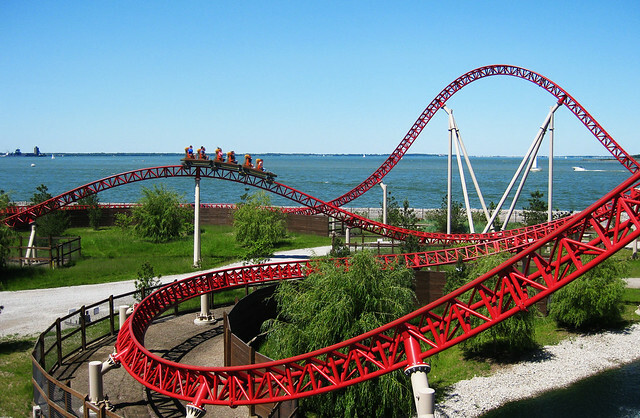 Cedar Point is the second oldest theme park in the USA and this amazing wonderland is widely considered to be the rollercoaster capital of the world. It is home to 17 rollercoasters, 4 of them in excess of 200 feet tall! To get your thrill on, we recommend having a go on the Millennium Force, Mean Streak, Corkscrew and Iron Dragon. In 2014, two new family rides – Lake Erie Eagles and Pipe Scream – were also opened.